Madera Apartments in downtown Mountain View and just a few Caltrain stops from everything else offers 2 bedroom and 2 bathrooms apartments for $5,300 per month. The severe housing shortage on the Peninsula has affected everyone. The rental vacancies have fallen dramatically, and rents have skyrocketed. 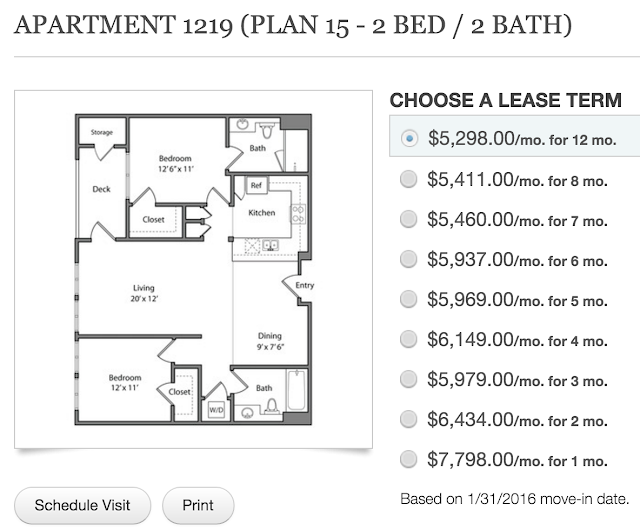 The numbers for aparments rentals is striking. I suspect that some Madera Apartments renters today pay more than 50 percent of their incomes on rent.